Just a heads up for those who are local to Reading. MASC will be in Beale Park three times this year so feel free to come down for a lovely day out and to do some primate-themed activities. Firstly we are doing Monkey Athletics (Monkelympics as was) on the weekend of the 27th and 28th of July. Come down and test your primate abilities! We have 5 different activities that test 10 different things that make primates different from other animals. Then over the weekend of the 31st of August and 1st of September we are going to do activities that haven’t been decided on. We will be running a poll to vote for what you think would be the best activities for us to run between: Monkey Biscuits and masks, Monkey Athletics, a trial of activities that are designed to promote empathy for pet primates, a show or some activities that are about palm oil (feel free to cast your votes via comments). Whatever happens we’ll be in the Toy Museum. Then on the 31st of October and 1st of November which are a Thursday and Friday we will be launching Spooky Monkeys! Find out about primates that are active in the night and what makes them special. 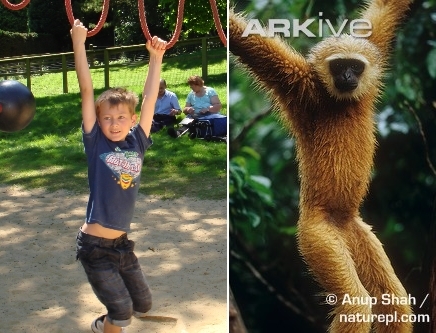 Compete between kids and adults and learn more about people’s relationships with night-time primates. You are currently reading Beale Park this year at monkey unmasked.